ArtEmboss Soft Metal Sheets are easy to emboss. 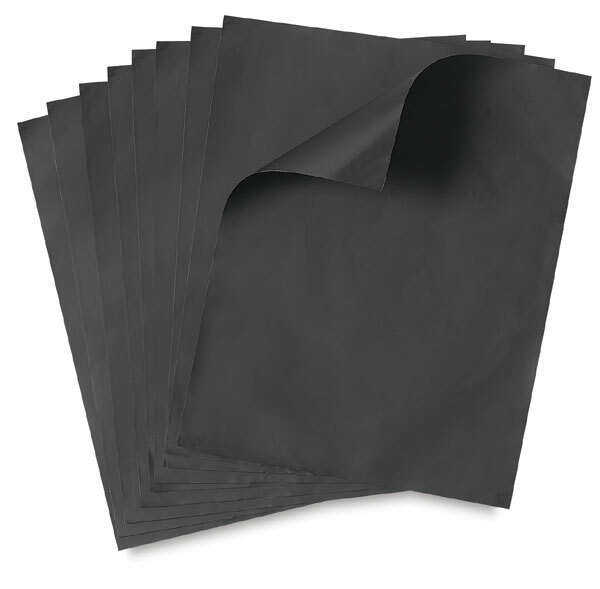 The light-weight sheets are matte black on both sides and the medium-weight sheets are matte black on one side and aluminum on the other. Black will not chip off when tooled with a pencil. These sheets are safe for younger artists — there are no sharp edges like regular tooling foil. The economical bulk pack contains 12 sheets. Each sheet measures 9¼" × 12" (24 cm × 31 cm).